Happy 1st official day of Fall! I thought this would be the perfect time to share some of this year's decor items that are catching my eye! I like my decor to work from September through November, so I try to keep it simple and avoid anything super Halloween-y. I typically only purchase one new decor item a season (otherwise things could get a little out of hand), and I have yet to make this year's decision. I am particularly in love with that wreath, but not so much the price tag...especially since a wreath won't hold up as well over the years as some other things will! Love! The candles won't last so well into the next year, but I sure do love some candles! Love the owl!!!! So cute!! The leaves candle smells amazing! Bath and Body Works can do no wrong with their Fall scents! Great picks - I'm a sucker for anything owl and that one is too cute. :) Such a beautiful and cozy time of year!! Love all your picks! Wish I could decorate for fall this year, next year I'll have a brand new house to fill! oh #3 is so cute! and that owl, i need it in my life. love love love! I need to get more stuff to set out! 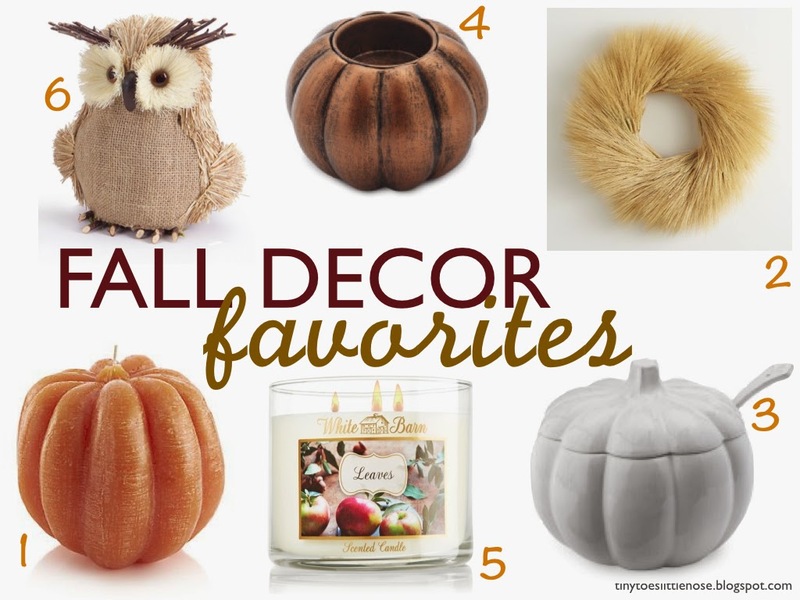 i LOVE fall decor, that little owl is so cute!! I am such a sucker for owls!